DIP (Parentage Unknown) Sev. EM Re. 29" scapes, 5.5" flowers, 3 way branching, 18 buds. Flowers have wonderful substance and hold up well throughout hot days. 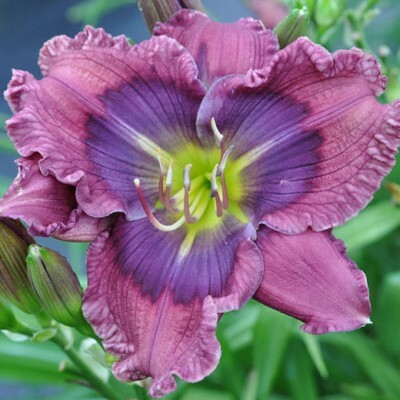 Reblooms heavily with strong plant habit. Fertile both ways.